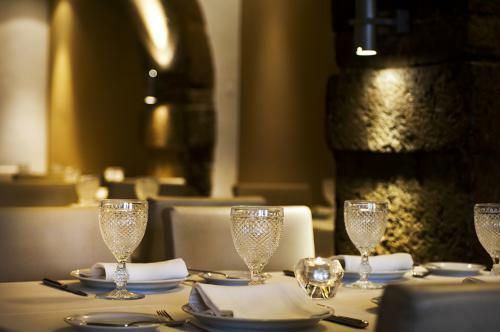 Lisboa a Noite is an elegant restaurant in Lisbon, situated in a restored wine cellar at the edge of the popular Bairro Alto district. 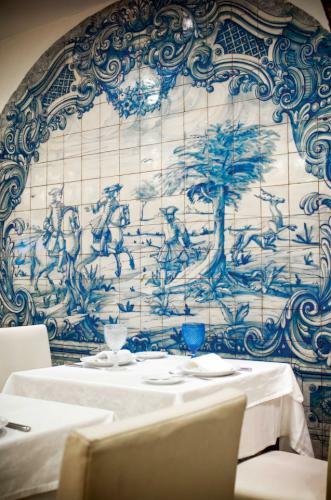 The building was once the stables of the Palacio dos Condes and Lisboa a Noite Restaurant has harnessed its heritage and merged it with modern day sophistication to perfection. The old ring chains and well from its previous incarnation are still visible, making a lovely focal point. 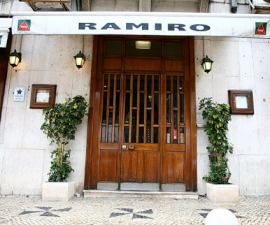 Lisboa a Noite Restaurant is open from Monday to Thursday from 7.30pm to midnight and on Friday and Saturday from 7.30pm to 1am, providing the ideal spot for diners to while away the evening against the backdrop of Lisbon’s bustling Bairro Alto nightlife. Once a popular fado house, the emphasis of this restaurant in Lisbon is now unashamedly all on the food. 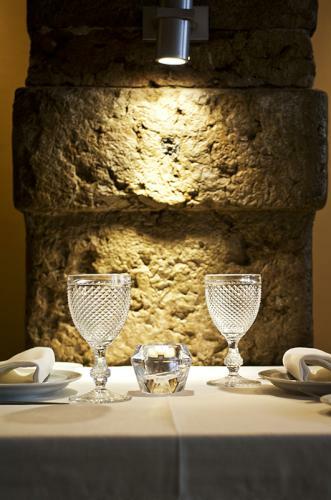 The cuisine embraces traditional favourites from all over Portugal, recreated with a distinct modern twist. 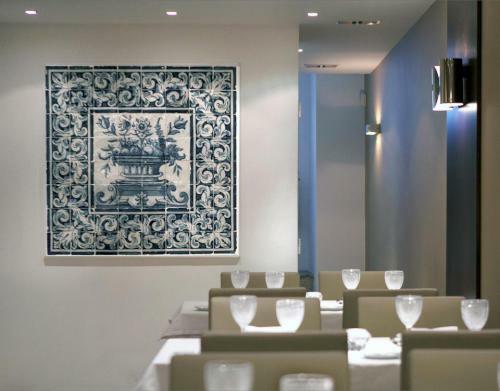 The finest ingredients are sourced and used in Lisboa a Noite Restaurant’s creations and there is a strong emphasis on fish and seafood. Popular favourites include salt cod with spinach and cream; prawn and green apple risotto; salmon loin with an orange velvet sauce; octopus carpaccio with orange pepper vinaigrette; Portuguese loin of sole with clams; tiger prawns flambéed in whisky and served with lobster risotto; loin of fresh tuna sautéed in olive oil, garlic and laurel; caramelised sea scallops with velvet of Portuguese sparkling wine and apple; and loin of salt cod with mushrooms and chestnuts, aromatised with tawny port. If fish is not your thing, there are plenty of other treats on the menu of this lovely restaurant in Lisbon to please your taste buds. Try the Portuguese style chicken rice in red wine sauce; tenderloin steak gratin with cheese from the Azores; or the duck leg confit with reduced orange and heather honey. A range of delicious home-made desserts completes the offering. The wine list is diverse and well chosen, with plenty of options to match your meal. 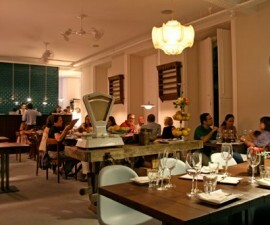 As with many of the best eateries in Portugal, nothing is too much trouble for the staff here. 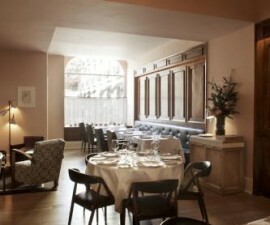 Their attentive but discreet service helps to make your meal as memorable as the tasty creations on offer from the chef. 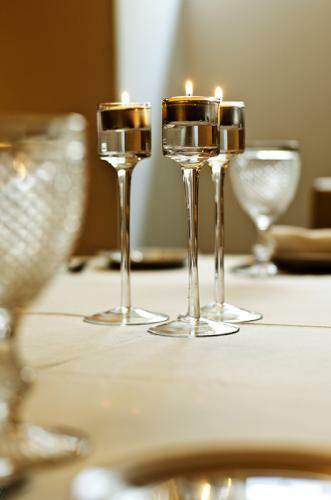 This makes for a delightful convivial atmosphere which you simply won’t want to leave at the end of your meal.